CaixaBank has been added to the 2019 Bloomberg Gender-Equality Index (GEI), which distinguishes companies committed to transparency in gender reporting and advancing equality between men and women in the workplace. Diversity, meritocracy, equal opportunities and people's talent are cornerstones of the CaixaBank culture. In this context, several initiatives have been spearheaded with the goal of strengthening the role of women in the company, such as the Wengage programme, aimed at promoting gender equality. Following on from this, Bloomberg has given credit to CaixaBank for promoting a working model in which diversity plays a prominent and positive role. The index doubled in size from 2018 and includes firms from 10 sectors headquartered across 36 countries and regions. Collectively, these firms have a combined market capitalisation of USD9 trillion and employ more than 15 million people, of which 7 million are women, around the world. Thirteen markets are represented for the first time this year and include Argentina, China, Israel and South Africa. The organisations included in this year's edition have established a new transparency standard as a basis for their business commitment. Voluntarily, these companies are publicly disclosing the numbers behind their actions to achieve advances in gender equality. In fact, the index values the collective benefit of transparency, since greater access to data allows issues to be identified, solutions to be developed and progress to be reported. Bloomberg’s standardised reporting framework offers public companies the opportunity to disclose information on how they promote gender equality across four separate areas – company statistics, policies, community engagement and products and services. Reporting companies that score above an established threshold, based on the extent of disclosures and the achievement of best-in-class statistics and policies, are included in the GEI. Demand for products and services using ESG data has seen a significant increase over the last years, as a growing number of investors are looking to incorporate environmental, social and governance data into their investment decisions. Still, currently only 10% of eligible companies are disclosing their workplace gender policies and practices. Women had a 40% increase in executive level positions between fiscal years 2014-2017. 60% of firms conduct compensation reviews to identify gender-based variations in pay to close their average 20% pay gap (18% on average in the Americas, Europe, Africa and Middle East regions and 26% in Asia-Pacific). 34% have programmes in place to recruit women looking to return to work after a career break. For U.S. employees, the average number of weeks of fully paid primary leave offered is 13 weeks, and the average number of weeks of fully paid secondary leave offered is 5 weeks. 43% of firms cover gender reassignment services in health insurance plans. 68% of firms evaluate all advertising and marketing content for gender biases prior to publication. CaixaBank has developed the Wengage programme to promote gender equality and boost the role of women in the company and in wider society. The initiative has two aspects to it: an internal aspect, with a series of actions aimed at increasing the number and the visibility of women in managerial positions and promoting talent and professional development; and an external aspect, with activities aimed at the general public to spread awareness of equal opportunities and the value of diversity. 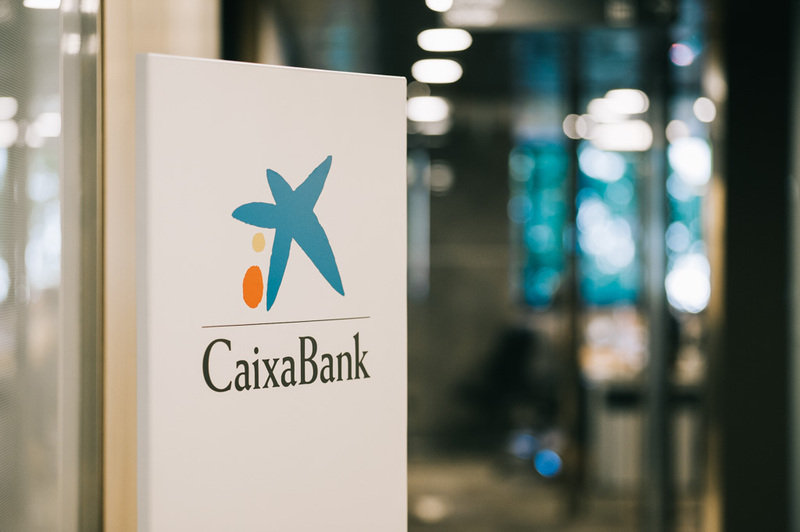 Wengage is part of CaixaBank's Diversity Plan, which seeks to foster diversity in all its forms, including functional and generational diversity in addition to gender diversity. The internal actions of the Wengage programme include female mentoring plans, through which company executives advise other professionals on their career development. Wengage also promotes measures that foster a better work-life balance and allow men and women to fit their professional development into their personal and family life. As for the external activities, CaixaBank holds conferences and debates on diversity across its branch network. The Wengage programme also includes initiatives linked to sport. These include CaixaBank's sponsorship of the women's national basketball team and organising speeches on leadership aimed at women entrepreneurs and executives, given by the former players Elisa Aguilar and Isabel Sánchez. On the other hand, the Wengage programme also includes the organisation of CaixaBank's “Women in Business Award”, established to identify and give credit to leading female business leaders in Spain. The company has also established the WONNOW STEM Awards, with the support of Microsoft, to recognise excellence among female students enrolled in the last year of STEM degrees - in Science, Technology, Engineering and Mathematics - from all the universities in Spain. Furthermore, the company is associated with various international programmes to foster gender equality, such as the Women’s Empowerment Principles initiative of the United Nations; the Ministry of Health, Social Services and Equality's “More women, better companies” voluntary agreement to secure a greater percentage of women in executive positions; the Diversity Charter, to promote equal opportunities and antidiscriminatory measures; and the Generation and Talent Observatory, which promotes the management of generational diversity. Thanks to this commitment, CaixaBank has obtained the FRC Certificate (Family-Responsible Company) of the Masfamilia Foundation, which attests to its model of continuous improvement in the fields of equality and work-life balance. In addition, the company has received several recognitions for its work in boosting the role of women in the workplace, such as the 25th anniversary award from the FEDEPE (Spanish Federation of Women Managers, Executives, Professionals and Entrepreneurs). CaixaBank has achieved its goals for increasing the number of women in managerial positions, as set out in its Strategic Plan for 2015-2018, with 39.1% of female managers, one of the highest ratios in the sector.